Precipitation during the first half of May has been near to above normal. The saying may be “April showers bring May flowers,” but this year the rain has come in May! 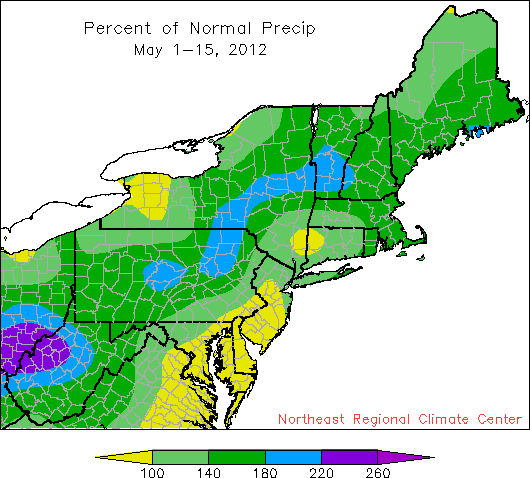 A majority of the Northeast has had above normal rain during the first half of May, helping to alleviate dry conditions. 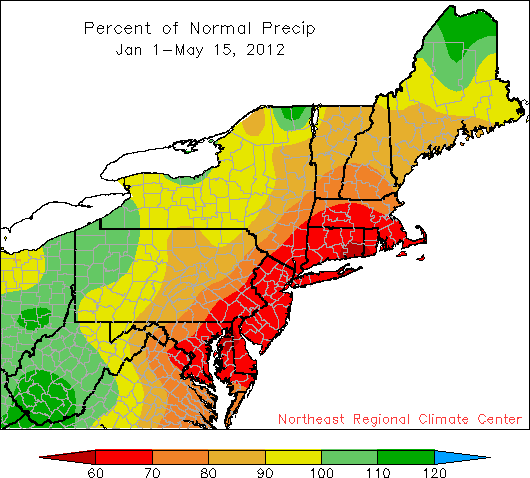 Though the January 1 through May 15 precipitation amounts are still below normal for most of the Northeast. Parts of several states are in moderate drought conditions, and an area of Delaware is in Severe Drought.